Michael J. Broyde is professor of law at Emory University School of Law and senior fellow and projects director at the Center for the Study of Law and Religion at Emory University. His primary areas of interest are law and religion, Jewish law and ethics, family law, and comparative religious law. 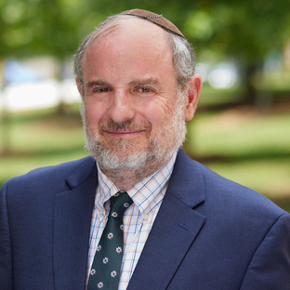 Broyde teaches Jewish Law and Family Law (I and II). He has also taught Federal Courts, Alternative Dispute Resolution, and Secured Credit and Bankruptcy. His most recent books are Sharia Tribunals, Rabbinical Courts, and Christian Panels: Religious Arbitration in America and the West (Oxford Press, 2017) and A Concise Code of Jewish Law for Converts (Urim Press, 2017). During the 2018-2019 academic year, Broyde will be a Senior Fulbright Scholar at Hebrew University, where he will be working on four manuscripts. Topics include religious arbitration in nations that have established religions, kidney transplants and vouchers, Jewish law issues related to modesty, and a modern explication of the book of Genesis. He is also translating A Concise Code of Jewish Law for Converts into Hebrew. In addition to his many books, Broyde has written almost 200 articles and book chapters on various aspects of law and religion, Jewish law, and religious ethics, as well as an often-cited article on impeachment in the Harvard Journal of Law and Public Policy. He has written on military ethics from a Jewish law view, marriage and divorce in the Jewish tradition, bioethical dilemmas from a religious view, women’s rights in the Jewish tradition, the general relationship between secular and Jewish law in its many different facets, and many other topics. A list of his works may be found on his website. 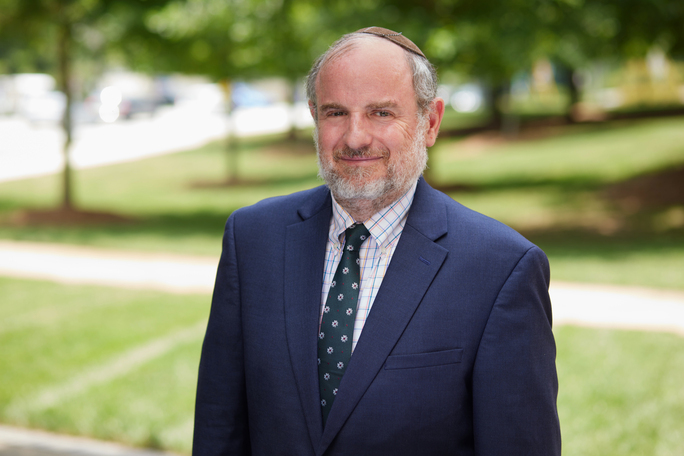 Broyde is ordained (yoreh yoreh ve-yadin yadin) as a rabbi by Yeshiva University and was a member (dayan) of the Beth Din of America, the largest Jewish law court in America, where he once served as director while on leave from Emory. He was the Founding Rabbi of the Young Israel synagogue in Atlanta, a founder of the Atlanta Torah MiTzion kollel study program. He served on boards of many schools and organizations in Atlanta, including more than 15 years as the chair of the medical ethics committee of Weinstein Hospice in Atlanta. During the 2017-2018 academic year, Broyde was a visiting professor at the University of Warsaw Law School in Poland and in the Interdisciplinary College of Law in Herzliya, Israel. He received a juris doctor from New York University and published a note on its law review. He also clerked for Judge Leonard I. Garth of the United States Court of Appeals for the Third Circuit. Broyde is married to labor lawyer Channah S. Broyde, who works in the United States Department of Labor, Office of the Solicitor. "Access to Justice in Jewish Financial Law: The Case of Returning Lost Property," in Radical Responsibility: Celebrating the Thought of Chief Rabbi Lord Jonathan Sacks, Michael J. Harris, Daniel Rynhold & Tamra Wright, eds., New York: The Michael Scharf Publication Trust/YU Press; Jerusalem: Maggid Books, 2013, 111–123. “Who is a Jew,” in Jewish Identity: Who Is A Jew?," Baruch Litvin, Sidney Hoenig & Jeanne Litvin eds. (2d rev. & augmented ed., New York: Ktav, 2012, 29–40) (co-author: Mark Goldfeder). "Women Receiving Aliyot? A Short Halakhic Analysis", in “Wisdom and Understanding”—Studies in Jewish Law in Honour of Bernard S. Jackson: Jewish Law Association Studies XXII, (Leib Moscovitz and Yosef Rivlin eds., Liverpool: Jewish Law Association, 2012). "Has Judaism Lost its Sense of Direction? Orientation during Tefillah," in Essays for a Jewish Lifetime: The Burton D. Morris Jubilee Volume (Menachem Butler and Marian E. Frankston eds., New York: Hakirah Press, 2012). "New York’s Regulation of Jewish Marriage: Covenant, Contract, or Statute?" in Marriage and Divorce in a Multicultural Context: Multi-Tiered Marriage and the Boundaries of Civil Law and Religion (Joel A. Nichols ed., Cambridge University Press, 2011). "Happiness—and Unhappiness—as Legally Significant Categories in Jewish Law," Journal of Law and Religion 29:1 (forthcoming 2013). "Jewish Law Courts in America: Lessons Offered to Sharia Courts by the Beth Din of America," New York Law School Law Review 57 287 (2012/2013). "The Codification of Jewish Law and an Introduction to the Jurisprudence of the Mishna Berura," Hamline Law Review 35 623 (2012) (co-author: Ira Bedzow). "Understanding Rights in Context: Freedom of Contract or Freedom From Contract? A Comparison of the Various Jewish and American Traditions," Journal of the Beth Din of America 1 (Spring 2012), 48–65. (co-author: Steven S. Weiner) [Another version of this article has also been accepted for publication in Jewish Law Association Studies XXV – the Netanya Conference Volume, Yuval Sinai ed.]. “Report Abuse to Police, Not Rabbis,” Hirhurim – Torah Musings, January 16, 2013. “Jewish Tradition and American Civil Rights: An Explanation of the Theory,” Ben J. Altheimer Lecture on Judaism and Civil Rights, Hendrix College, Conway, Arkansas, April 3, 2013.